İnsanlar günlerinin büyük bir bölümünü binalarda geçirmektedirler. Gelişmiş endüstriyel toplumlarda tüm yarı zamanlı, esnek zamanlı, uzaktan çalışma seçeneklerine rağmen insanların hala büyük bir çoğunluğu ofis binalarında çalışmaktadırlar. Binaların tasarımı, inşası, bakımı, mimarlık, inşaat mühendisliği, tesis yönetimi gibi ayrı ayrı disiplinlerin çalışma alanı olmuştur. Çalışanların üretkenliği iş memnuniyeti, sağlık ve refahı ile ilgili araştırmalarda çoğunlukla örgütsel davranış disiplini içerisinde ele alınmaktadır. Ancak kuzey Amerika’da ve Avrupa’da uzun yıllardır yoğunlukla incelenen ve sözü edilen disiplinleri bir araya getiren çalışmalara Türkiye’de henüz rastlanmamaktadır. Bu çalışmanın amacı kavramsal bir çerçeve içerisinde, fiziksel çalışma ortamlarının kalitesinin kullanıcılarının refahı, sağlığı ve üretkenliği üzerindeki etkilerini mevcut literatüre dayanarak bilgilendirmektir. Çalışma ortamlarını etkileyen çevresel faktörlerin çalışanların kişisel ve çalışma hayatlarındaki önemini vurgulanarak, bina tasarımlarının bu ihtiyaca hizmet etmesi, yatırımcıların gerekli yatırımları yaptıkları takdirde bu yatırımların karşılıklarını alabilecekleri vurgulanmaktadır. People spend majority of their times in the buildings. Despite all part-time, flexible and distant working options offered to employees, in developed industrial societies, the vast majority of people still work in office buildings. The design, construction and maintenance of buildings have been the subject of separate disciplines such as architecture, engineering and facility management. Research on the employee issues such as productivity, job satisfaction, health and well-being, is also mostly handled in the field of organizational behavior. However, while have been an extensive research in United States, Canada and Europe for many years that bring together these disciplines, are not yet common in Turkey. The purpose of this study is to create a conceptual framework and inform the occupants of workplaces how work environments effects their health, well-being, and productivity based on the current literature. Study emphasizes the importance of environmental factors affecting work environment in personal and working lives. It states that good building designs can serve this need and underlines if investors make the necessary investments, they will be able to compensate the return on their investments. Alvarsson JJ, Weins S, Nilsson ME (2010) Stress recovery during exposure to nature sound and environmental noise. Int. J. Environ. Res. Public Health 7(3):1036-1046. Anderson J, French M (2010) Sustainability as promoting well-being: psychological dimensions of thermal comfort, personal communication. Institute of Well-Being at the University of Cambridge. Bakó-Biró ZS, Kochhar N, Clements-Croome DJ, Awbi HB, Williams M (2008) Ventilation rates in schools and pupil’s performance using computerised assessment tests. Proceedings of the 11th International Conference on Indoor Air Quality and Climate, August 17-22, 2008, Copenhagen, Denmark. Bell J, Mabb J, Garcia-Hansen V, Bergman B, Morawska L (2003) Occupant health and productivity: an Australian perspective, in Yang J, Brandon PS, Sidwell AC (eds. ), Proceedings of the CIB 2003 International Conference on Smart and Sustainable Built Environment (SASBE 2003):687-694. Bernstein H, Russo M (2010) Personal Communication. McGraw-Hill Construction. Boyce PB (1997) Illumination, Chapter 26 in Salvendy, G. (ed.). Handbook of Human Factors and Ergonomics, New York: Wiley Interscience: 858-890. Boyden S (1971) Biological determinants of optimal health, in D.J.M. Vorster (Ed.) The Human Biology of Environmental Change. Proceedings of a conference held in Blantyre Malawi, April 5-12, London: International Biology Programme. CIBSE (1999) Technical Memorandum 24: Environmental Factors Affecting Office Worker Performance; a Review of the Evidence, ISBN: 0900953950. Clark LA, Watson D (1988) Mood and the Mundane: Relationships between daily events and self-reported mood. 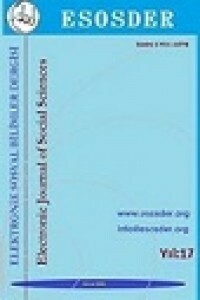 Journal of Personality and Social Psychology 54:296-308. Clements-Croome DJ (2004) Intelligent Buildings: Design, Management & Operation. Thomas Telford Ltd, London. Clements-Croome DJ (2008) Work Performance, Productivity and Indoor Air; Scandinavian Journal of Work Environment and Health Supplement (4):69-78. Daly S (2010) Ecobuild Conference at Earls Court London and Personal Communication (Heath Avery). Davidson R (2003) Report by M. Henderson, The Times 2, page 4, September 2nd. De Marco T, Lister T (1987) People ware: Productive Projects and Teams. Dorset House Publishing, New York. Eley Associates (2001) The Collaborative for high performance schools, best practices manual. Eley Associates, San Francisco, CA, USA. Evans R, Haryott FEng R, Haste OBE FEng N, Jones FEng A (1998) The long term costs of owning and using buildings. The Royal Academy of Engineering, UK. Fanger PO (2002) Human requirements in future air-conditioned environments, in:Anson M, Ko JM, Lam ESS (eds.). Advances in Building Technology1:29-38. Fisk WJ (1999) Estimates of potential nationwide productivity and health benefits from better indoor environments: An update, Chapter 4. In: Spengler JD, Samet JM, McCarthy JF (eds.) Indoor air quality handbook, McGraw-Hill. Fisk WJ (2000) Health and productivity gains from better indoor environments and their relationship with building energy efficiency. Annual Review of Energy Environment 25(1):537-566. Fisk WJ (2000) Review of health and productivity gains from better IEQ. Proceedings of Healthy Buildings, Helsinki 4:24-33. Heerwagen JH (1998) Productivity and well-being: what are the Links?. American Institute of Architects Conference (March 12-14) on Highly Effective Facilities, Cincinnati OH. Herzberg F (1966) Work and the Nature of Man. World Publishing Company. Heschong L (1979) Thermal Delight in Architecture. MIT Press USA. Hughes W, Ancell D, Gruneberg S and Hirst L (2004) Exposing the myth of the 1:5:200 ratio relating initial cost, maintenance and staffing costs of office buildings. In: Khosrowshahi F (Ed), 20th Annual ARCOM Conference, 1-3 September 2004, Heriot Watt University. Association of Researchers in Construction Management1:373-381. Isen, A., 1990, The Influence of Positive and Negative Affect on Cognitive Organisation: Some Implications for Development, in Stein, N.L., Leventhal, B., Trabasso, T., (Eds. ), in Psychological and Biological Approaches to Emotion (Hillsdale, N.J., Erlbaum).Juniper, B.A., White, N. and Bellamy, P. (2009), “Assessing employee well-being – is there another way?”, International Journal of Workplace Health Management, Vol. 2 No. 3, pp. 220-30. Knasko SC (1993) Performance mood and health during exposure to intermittent odours. Archives of Environmental Health 48(5):305-308. Le Doux J (1996) The emotional brain, Simon and Schuster: New York. Ludvigson HW, Rottman TR (1989) Effects of odours of lavender and cloves on cognition, memory, affect, and mood. Chemical Senses, 14 (4): 525-536. Mawson A (2002) The Workplace and Its Impact on Productivity, Chapter 4 in Advanced Workplace Associates Ltd, London. Mendell M, Fisk WJ, Kreiss K, Levin H, Alexander D et al. (2002) Improving the health of workers in indoor environments: priority research needs for a national occupational research agenda. American Journal of Public Health 92(9):1430-1440. Miller NG, Pogue D, Gough QD, Davis SM (2009) Green buildings and productivity. Journal of Sustainable Real Estate 1(1):page 65. Newell G (2009) Developing a socially responsible property investment index for UK property companies. Journal of Property Investment & Finance 27(5):511-521. Newman M (2010) Get happy, and get on with it. Times Higher Education:34-36. Rotton J (1983) Affected and cognitive consequences of malodorous pollution. Basic and Applied Psychology 4(2):171-19l. Stokols D (1992) Establishing and Maintaining Healthy Environments: Toward a Social Ecology of Health Promotion, American Psychologist 47(1):6-22. Thompson B, Jonas D (2008) Workplace design and productivity: Are they Inextricably Interlinked? Property in the Economy Report, RICS:4-41. Ulrich RS (1984) View through a window may influence recovery from surgery. Science 224:420-421. Voordt DJM, van der (2003) Kosten en baten van werkplekinnovatie (in Dutch) – Een definitie en – programmeringsstudie; Center for People and Buildings (Delft, Netherlands). Warr P (1998a) What is our current understanding of the relationships between well-being and work. Journal of Occ. Psychology 63:193-210. Warr P (1998b) Well-Being and the workplace. In: Kahneman D, El Diener X, Schwarz N, eds. Foundations of Hedonic Psychology: Scientific Perspectives on Enjoyment and Suffering, New York: Russell-Sage. Williams B (2005) Building performance: the value management approach, Chapter 27. In: Creating the Productive Workplace, Clements-Croome (Ed), Routledge. Wu S and Clements-Croome DJ (2005a) critical reliability issues for building services systems. In: the Proceeding of the fourth International Conference on Quality and Reliability, Beijing:559-566.